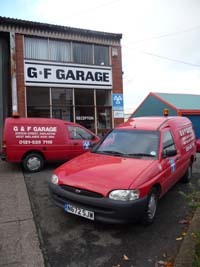 G&F Garage is sited in Darlaston in an industrial area. We have been providing a top quality service at a consistently low cost for over 30 years. The business has grown from a ‘one man band’ in 1982 to a team of seven highly trained workers today; attending to each individual customer needs with the utmost care. The range of services on offer includes full vehicle servicing, and M.O.T. facilities, mechanical, and electrical repairs. 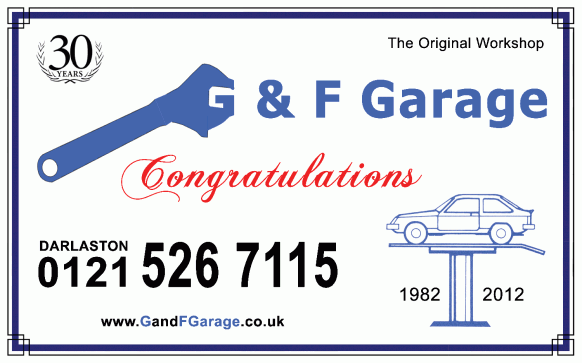 G&F Garage is equipped with the very latest Krypton technology to ensure a thorough and reliable service at all times. Our new website makes it easy to book your next M.O.T or service online. Simply click here and use our easy online form to book. Copyright © 2019 G & F Garage. All rights reserved.